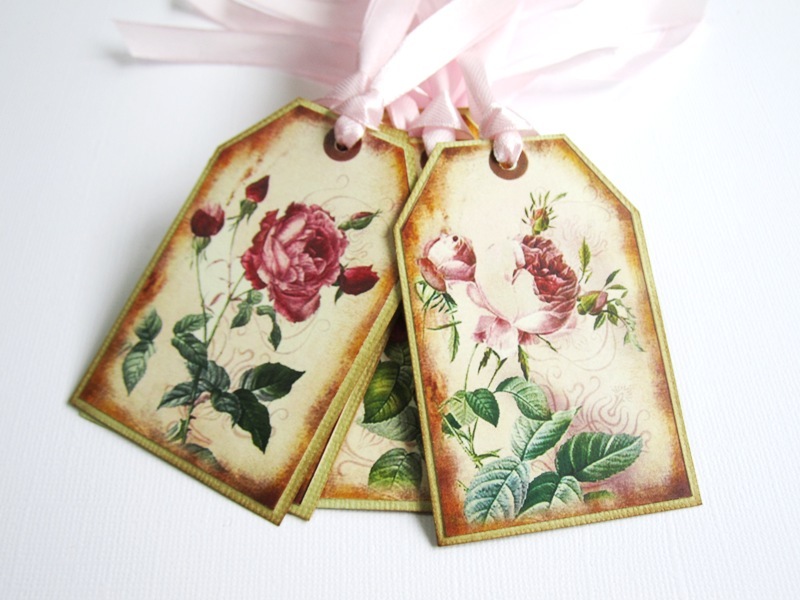 Beautiful set of Vintage Rose Gift Tags readily to adorn your gifts. 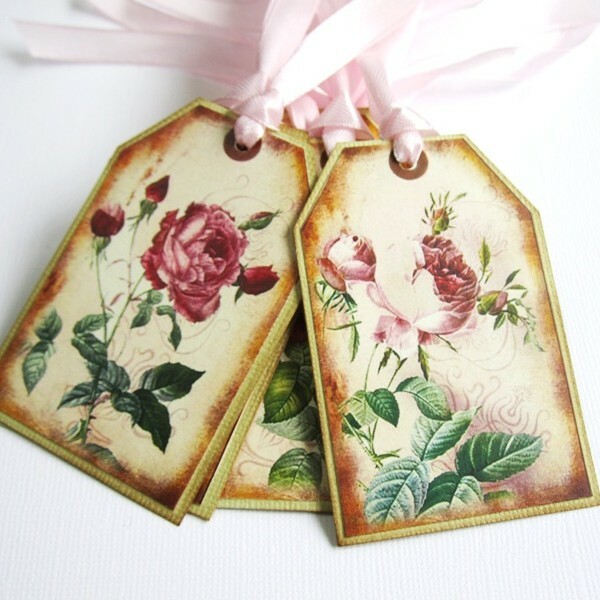 These gorgeous vintage inspired Rose Tags are so versatile. They can be used for any occasions, whether special events of just because. Rose is a symbol of celebration. If you are planning for a Rose themed party for birthday, baby shower, bridal shower, wedding, or retirement, then these vintage rose gift tags will be perfect for a final touch to your thoughtful favors. 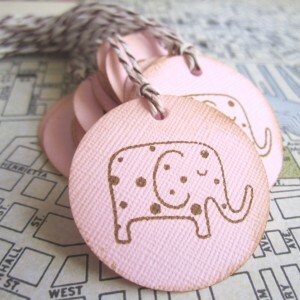 These beautiful tags will also be great for a Tea party in a rose garden, don’t you think? 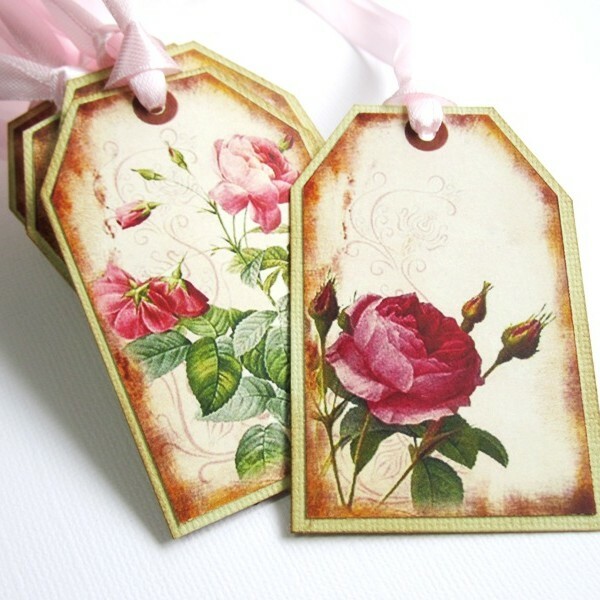 You will receive 12 Vintage Rose Gift Tags in each set. There are 12 different images in a set, so you certainly get a variety of Roses. 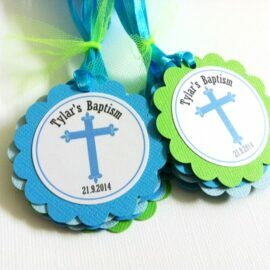 Each tag is conveniently prestrung with beautiful ribbon. All you need is to tie it to your favor or gift. 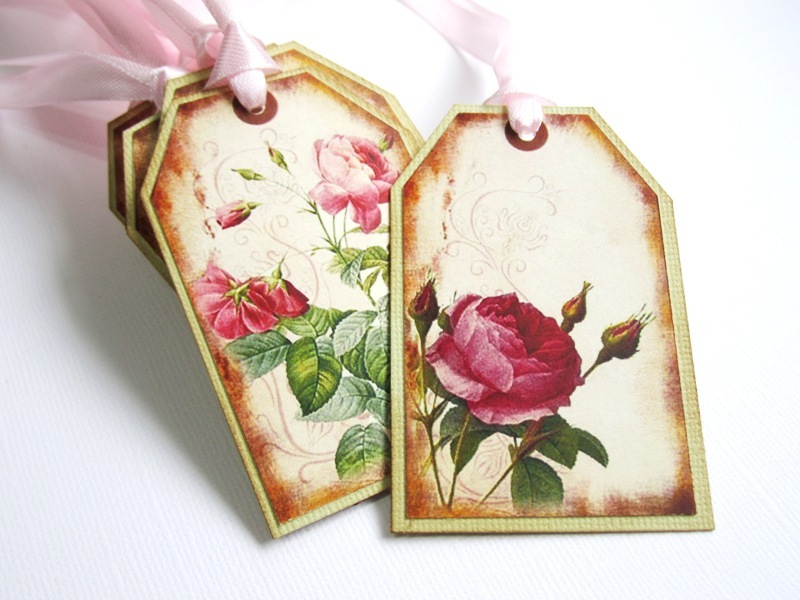 Each of these vintage rose gift tags is about 2.25″ wide and 3.4″ tall. They are very sturdy as they are made with not just one but two cardstocks, including beautiful high quality textured cardstock. 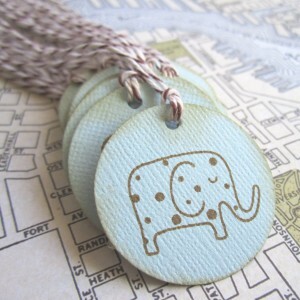 Take a look at the details, you simply can see how each is professionally made. We are pleased to have these Rose Gift Tags as one of the most views items at Kiser Krafts’ blog and mentioned at Shadow Dog Design’s post. Did you know Rose is not only a symbol or love, but it can also resemble your true friendship. This flower is used for many purposes like sacred ceremony and wedding. The rose is the official National Floral Emblem of the United States. The rose is also the state flower selected by Georgia, Iowa, New York, North Dakota and the District of Columbia. The world’s oldest living rose is believed to be 1,000 years old. You can find more interesting facts about Rose here.